Somewhere between 7am and 10 am on Thursday 15 October 2014 they came for Ross at his home in Sunnybank. His carer had just left for work. No warning was given to Ross’s unpaid carer or his support people despite the fact that we are all listed in various government agencies as Ross’s friends and support people. Ross has been in good health and in good spirits. His mind is active and his memory good. As they took Ross away he said that he was not leaving without Ellen … so he took Ellen’s ashes. They left his two dogs (Phoebe and Harry) at the glass front door. I saw them waiting patiently for Ross when I arrived at 10 am. When I asked people at the local shopping centre if they had seen Ross, they said that they knew him but had not seen him. Ross didn’t know he was going. He knew I was coming and he intended to wait. He didn’t take his hat and they forgot to collect that when they collected the dogs and the money. They took him to a home. Ross had said many times … that he wasn’t going into one of those homes because he knew how the residents were treated when he worked in one. Those that took Ross have a motto: ‘Protecting the rights of vulnerable Queenslanders’. They were assisted in this by fraud by Brian Laver, Will Marcus and Suleiman Sabdia all acting in their own interests to lie and cheat Carl Ross Taylor of his life savings. ‘They’ call themselves the Public Guardian of Queensland (until recently, the Adult Guardian). I am concerned about the mental anguish they have caused Ross by taking him from his home. The Public Guardian refuses to tell Ross’s carer or support people where he is and will not give any reasons why. I have made written complaint to both the Public Guardian and the Ombudsman. I have complained in person to the Brisbane Manager of the Adult Guardian and to the Public Trustee. None have responded or given reasons for their actions. Please show your support for Ross by adding your name to this petition to the Public Guardian in the comments box below. Please instruct the Attorney-General to order the Public Guardian to advise Ross’s friends where he is so that they can visit him to make sure he is alright. Please ask the Public Guardian to explain why Ross has been taken. Your petitioners, therefore, request that the Public Guardian return Ross to his family home where he feels safe and secure in familiar surroundings. We also request that the Public Trustee be ordered to investigate the fraud that has resulted in Ross losing his life savings and his family home. Please note that it may be an offence under the Guardian and Administration Act 2000 to identify Ross. This entry was posted in Recent and tagged ombudsman, public trustee, Qld Attorney General, The Public Guardian. Bookmark the permalink. This is to let you know about a critical hearing for Ross Taylor in Qld Civil Administration Tribunal. A group of Ross Taylor’s friends have been trying to get the Public Guardian to respect Ross Taylor’s right to live in his own home. Ross Taylor has repeatedly made that known to his friends and supporters in the past three weeks. 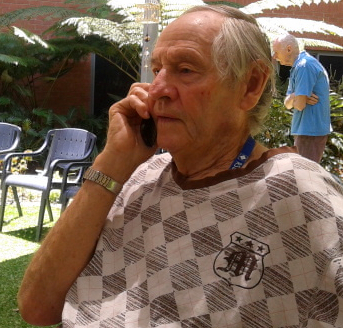 Ross was transported from his home under the order of the Public Guardian on 16 October 2014, three weeks ago to a high care dementia facility on the Sunshine Coast over 100 kms from his home and friends. Please come to support Ross’s right to live in his own home. I received an email dated 4 Nov 2014 from the Public Guardian, Kevin Martin. It is unlawful to publish the letter. I am not permitted to tell the extent of the cynicism by the Public Guardian in a response for which Ross’s friends have waited for reasons for his abduction. It is requested that you continue to respect the confidential nature of the information contained in this letter and ensure that Mr Taylor’s dignity, privacy and human rights are respected, acknowledged and maintained. Coerce a trusting man from his house, place him in a dementia ward with no prospect of release and Mr Martin can still speak about dignity. Carolyn lets not put low life labels on people. The main issue is for the friends of Ross is to get him back to his own home where he belongs. Carolyn I’m sure you do not want me to go into the details surrounding the events that occurred outside of the Noosa hospital early 2007.
don’t forget that Ross named the community centre in West End, AHIMSA (meaning Peace) house … and, in doing so, he honoured the wishes of his beloved Ellen, your friend. Drones are fighting ISIS : whose side are you on, soldier? Please remove all entries from this site from myself and Carolyn because everything that we have done for Ross and Ellen over the past 38 years has been denigrated as being against Ross’s interests.Please advise us of an address that we can send Phoebe and Harry to as their welfare is obviously of concern and cared about. Bernie has our contact details. Since you arranged for Phoebe and Harry’s transfer to Pomona you can arrange the transfer back to Ross’s home at Sunnybank. Pls note that Yellow Cabs advise that the taxi fare (paid by the Public Trustee out of Ross Taylor’s money) for the 148kms trip is $445. Sgt Alasdair MacLeod of Mt Upper Gravatt Police has started investigating theft of $450 from Ross Taylor’s house at Sunnybank during/after he was abducted on 16 October 2014 on the order of the Public Guardian. Why aren’t you investigating our complaint to Qld Police Officers (see video of below) that Ross Taylor was abducted (=taken from his house without permission) on the order of the Public Guardian? By all means ask the Public Trustee on whose authority they took the money from Ross’s house but which is more important – a person taken from his home or money? Who entered the house and how, who searched for the money, who took the dogs, Harry & Phoebe and put them in the taxi for the Lawson’s House 150 kms away? Whose money did they use to transport the dogs to the Lawsons? btw Yellow Cabs has quoted $445 to take 2 dogs from Sunnybank to Pomona where the Lawson live. Well Carolyn and Brian you have certainly argued a very good case of how much you have done for Ross. And I say well done and I am certain Ross greatly appreciates it. But you see, this is not the issue. The issue is, let Ross decide where he wants to be and what he wants to do. He has certain limited competencies (for example his short term memory) but he definitely is NOT high care category. He is able to do a lot and think for himself. He is a functioning, sentient human being. So, let’s ask Ross. And let the Public Guardian be guided by his wishes. Is this too much to ask for ? The Public Guardian, Kevin Martin, knows that his officers are overloaded and make decisions in haste – especially in this case. He has asked to review the matter himself possibly in an attempt to cover this up. Martin as Public Trustee would know of the high staff turn over in his office, resource and systematic constraints. Both officers I have spoken to admit that they made this decision about some Ross’s transfer to a high care dementia unit without meeting him and without visiting his home. They have failed to consult with Ross’s support networks. Ross Taylor is paying for his own institutionalization even though it is against his will. The money is simply taken from him to pay for the Public Guardian’s mistakes. Public Trust changes the locks, serves eviction notice and turns off phone – electricity and water next? Two Public Trustee officers went to the house on Thursday 30 October to evict the carer. Of course on the Public Trustee’ side he has ordered the disconnection of the telephone (is electricity and water next?) at the house to ensure no further money is spent to prevent Ross and the carer can return to the house. Of course, as with the public guardian there has been no consultation with Ross or his support network about this. The Public Trustee has refused to respond to my calls to request a review of these actions. 1. You may contact the manager who responded to your complaint to seek further clarification or information. 2. You may request an internal review of the original decision or of the response to your complaint by the Public Guardian. An internal review will examine the merits of the original decision and the internal practices used to reach the decision in light of new information or concerns that you have. If an internal review is approved by the Public Guardian, it will take a minimum of 70 working days. If you wish to request an internal review, please provide a letter to the Complaints Officer with your written reasons for requesting the review, the decision you wish to have reviewed and outlining your concerns. If you are not able to put your reasons in writing please contact the Complaints Officer on 3234 0870 to make other arrangements to record your concerns. 3. You may make a complaint to the Queensland Ombudsman’s office about the administrative processes of this office. 5. You may bring an application to the Supreme Court for a judicial review of a decision of the Public Guardian. Further information about the Public Guardian is available on the Department of Justice and Attorney-General website at Visit us at http://www.publicguardian.qld.gov.au or by contacting the Complaints Officer on (07) 3234 0870. What a disgusting demonstration of bureaucratic, top heavy inhumanity. ALL Humans deserve dignity, and none more so than those that are dependant on others to sustain it. These words were uttered by former public trustee Peter Carne on 8 December 2014 speaking directly to his client, Ross Taylor, and his friends. His then deputy and now acting public trustee Mark Crofton has given new meaning to those words by authorising the break-in to Ross’s home on 29 October 2014. Who do these people think they are? Psychopaths is what they are! Absolutely bloody shocking that Ross was abducted and incarcerated so far from his home without a word to anyone caring for him. Police state yes, more accurately, storm trooper state. The public trustee needs to answer once again, why? Yes Gareth, you are right to say police state. At 5.30pm this afternoon (Wednesday, 29 October) a locksmith ‘acting on the order of‘ the public trustee gained entry to Ross’s home and changed the locks thus barring Ross and the person looking after the place for his return from his family home. The Public Trustee’s action are wrong because he is supposed to be Ross’s financial administrator. Everyone is supposed to be equal before the law yet it seems that some are more equal than others! What right has the public trustee to take over Ross’s home that he and his wife worked hard for all their lives? Has anyone been in touch with Carers Queensland? You need to get Ross’s case up before QCAT. I know QPILCH run a free self-resresentation service for submissions to QCAT. Thnx kerrod for your suggestion and your concern. I am wondering why the Westender has not done a story on the persons responsible for the failure of AHIMSA house? It is a long running story of fraud, corruption, bureaucratic inaction, and now an attack on the liberty of a vulnerable person once active in the West End community. There have been over 500 visits to this article alone in the past two weeks. Friends of Ross’s are taking legal advice from a barrister about this. 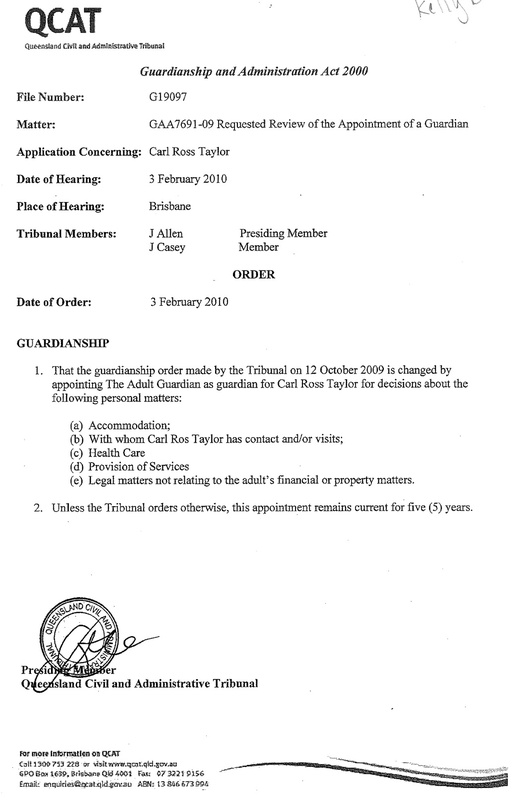 You may not be aware that Ross ended up with orders against him in Guardianship and Administration Tribunal (GAAT now QCAT) because Ross sought pro bono advice from Caxton legal aid. Caxton referred the matter to GAAT who in turn made orders placing the Public trustee (PT) as Ross’s financial administrator. The PT then claimed exorbitant fees from Ross for their maladministration of his affairs i.e. AHIMSA house. So Ross and a friend innocently went to obtain free legal aid about recovering his wife’s jewellery pawned by Brian Laver at a local West End business for a tenth of its value ($8,000). Laver gave Ross $2,000 and pocketed the rest. The Public Trustee questioned Laver about this transaction and others but to this day has taken no action against him or the architect, Will Marcus, who ripped him off so dishonestly at AHIMSA house. This righteous action by Caxton led to the appointment of a financial administrator (the PT) that cost him a building (AHIMSA house in Horan St West End) and large legal fees. Worst still the PT acting on expensive Queen’s Counsel opinion went to the Supreme Court that rubber stamped a deed that handed over Ross’s family home to a certain family trust thus depriving Ross of the home he had worked so hard for. I have contacted Carer’s Queensland and they can only assist carers not friends of Ross. They referred me to QADA 1800818338 and QAI 3844 4200 but cannot say whether they have any more ability to assist Ross to return home. Wendy at Carer’s Qld indicated that the public guardian has the power to take Ross against his will and privacy legislation protects them from explaining why. Myself and another friend have instructed a lawyer and she has said that QCAT will be notoriously slow at responding to the application that I lodged on 20 October to revoke the appointment of the Public Guardian. The barristers says that QCAT is the only jurisdiction that can deal with it. The PG has advised her that they will make no response till next week; that will be three weeks after Ross was taken from his house against his will. Assistant Ombudsman Louise Rosemann accuses Ross’s friends of using pejorative word like “abduct”. “Abduct” = take (someone) away illegally by force or deception; kidnap. When the Public Guardian coerced Ross into their car, he responded by saying “I am not going without Ellen”. Ross insisted he take his wife’s ashes. The public guardian left Ross’s hat behind, left his clothes in their drawers, his photos and mementos and his treasured dogs, Phoebe and Harry. And in her reasoned reply the Ombudsman trades words like “consult OPGs CMS” as if the law is a game. I went today and saw Ross he had just come in from a bus trip to the beach and was having lunch and was very happy looking at all the photos of his dogs ,when you get him back I hope you have a new home for him to live in as the one he is in should have been condemned along time ago. He could not wait to sit down and watch babe today . So think about what you are going to do for Ross and where is a good place for him as Mains Rd is not safe , and he needs a safe happy place to call home , not one that is falling down . dear Carolyn, Please leave your full name and address we can assess your status in relation to Ross, and also babe? Who do you think you are Claudia asking for our address details. We don’t know what your relationship is with Ross so please provide us with your full name, address, phone number etc so we can assess that relationship. As a decent person, I rescind that request because I believe in the privacy of people. Even though it’s none of your business about our life I was a forward scout in Vietnam in 1971 with 3RAR and experienced all sorts of human activities good and bad. This set the scene for the future and when I went back to my trade as an electrician I saw a Moratorium march past the site and I followed it to Roma Street Forum where Saint Brian Laver denigrated anyone who had been involved in Vietnam. I, as a solitary person defending our involvement was told by Saint Laver that I would be one of the first people executed on the steps of City Hall once his Anarchy group took control. It was later that I realised that this was something I didn’t understand called an oxymoron. Anarchy meant no group control and the part about moron certainly describes Saint Laver having lived as a very unsuccessful bookseller who coaxed other people to become partners in his radical bookshops and who ultimately were ripped off. He also lived off being Australian Tennis Great Rod Laver’s nephew and I’m sure that the great ROD squirms whenever anyone mentions Saint Lavers name. Laver has always been an anti-capitalist but he has been the epitomy of that term capitalizing on this relationship. It was incredible that 30 + years later the name re-surfaced with his ripping off of Ross. My commitment to a fair thing has continued for over 40 years and Carolyn and my hope is that Ross will be allowed to live out the rest of his life in peace without all the pressure that he has been placed . By the way Claudia, Babe is a film about a pig. As I said in my earlier comments Ross’s home should be inhabited by a dozen pigs before the Sabdias take possession. They should be given 2 weeks ownership so they can make their mark. Why did you go and fight in Vietnam? Ian, I would like to thank you all, on behalf of all soldiers, for your love. I though that we were vilified but now I realize that I had read it wrong. Peace and love to all of you. You have made my day. So you are a big war hero and no-one recognised that Brian? What the hell has that got to do with Ross being unfairly locked up in a jail for the mentally incapacitated? This is not a war/anti-war forum. You want to discuss that – go prattle on about your war hero stuff and how you suffered elsewhere. Start your own blog “I am a great war hero who was maligned by Scumbag Laver’. Folks can join up and or read it if they want to read about YOU and and how marvellous you are if they want to. Good on em. Make it a choice. People reading this blog did not sign on to hear about you and how you ‘suffered’. My grandfather and father were war heroes for what it is worth and you know what? This is not the place for me to rave on about how terribly they suffered – and actually did. You have any issues with Vietnam War stuff – go take it out on LAVER, not punish Ross for being misguided in thinking he was a friend. You seem to be real big on yap-yap and not actually doing anything about it – unlike quite a few people who have NOT let this rest – either with the criminals running the PT’s office or scumbag Laver and his mate Will Marcus, who has been proven in court to be a thief and was prepared to perjure himself in court. And lying, thieving scumbags come in all political and God fearing persuasions too. It is not their politics (as claimed by Laver) or the religion (like Marcus spouts) that stops or helps them being what they have proven themselves to be. Another thing you might not be aware of. And for the record, not one of Ross’s friends that I know of has been PAID by the public Trustee for any care or concern that they have shown or given Ross – nor have we submitted ‘invoices’ for his care or the bills incurred. We have done what we have because of our care and concern for him and not any money we could bill for his care. Can you say that too? I personally would be horribly ashamed if I were in the pay of the PT. Maybe that’s why you and yours like him being locked up like he is. Did the money run out or something? Did it look like there was nothing left to try and claim for? Beats me why folks who say they genuinely care for Ross would want him locked up in a jail for severely demented people. Well, it is costing the govt far more to keep Ross incarcerated than it was to have him home with his carer and friends. And who is unhappy? Ross, not you and yours. Shameful absolutely shameful! I would like everyone to have a close look at the attached comments by Carolyn Lawson on facebook about Ross Taylor’s removal from his house by the Public Guardian [PG] (acting in concert with the Public Trustee [PT]). While one could question Carolyn’s understanding of the process involved in Ross’s removal from his home, her remarks demonstrate her part in it. While Carolyn’s active participation in his removal can come as no surprise, we need to challenge the PG and PT decision to include the Lawson’s in their planned removal while excluding Ross’s Brisbane friends (Mitch, Bernie, Rosslyn, Peter, myself and others). The poisionous relationship that has developed between the Lawsons, the Sabdia’s, the PT and PG is revealed in these facebook messages from Carolyn Lawson – I say poisionous because it has adversely affected Ross’s quality of life, especially if the Lawson’s get their way and his removal from Mains Road is long term. Carolyn then makes an offer of money on Ross’s behalf – the very thing that she has accused others of e.g. Brian Laver and Will Marcus in particular. The clear implication is to make Bernie an accomplice in the theft: “I want you to have it … and it pay a bit of what you have put out over the years” … remarks revealing a sorry attempt to bring Bernie down to her level – one of opportunism and self-interest. Recently Ross had a fall at the RSL facility and who did the PG get to take him up for an X-ray? None other than Carolyn Lawson. It would seem that the motivation of PT and PG is clear … to get Ross out of the house so that it can be handed over to the Sabdia’s. The following remark made by Carolyn on 1 November concern me because, as you are all aware, the PT has been sending officers to Ross’s house in an attempt to drive Rosslyn out. Carolyn discloses she is privy to these moves by saying : “also the PT has been going in and out of Ross’s house under his request, so talk to them about the so called money that was taken because as you said it was Ross’s money and then if it was then it belongs to the PT as dose (sic) everything in that house.” Carolyn seems to be actively encouraging the PT to take everything. Your comments and thoughts? What should we do about the Lawson’s, given that they are working against Ross? 1) Till now I have been silent and not criticised the Lawson’s to Ross himself. How can i justify this silence given what the messages Bernie has received? 2) Should we refer them to Dianne Pendergast? 3) Should we out the Lawson’s to the Sabdia’s? 4) Should these comments by Carolyn Lawson be put in our affidavits for the QCAT hearing on 30th January 2015? If so, how? At every turn, I feel how difficult it has been to defend Ross, especially when he has been the victim of so much abuse by people who hold themselves out to be his friends. I can’t forget how, in 2009, Carolyn Lawson threw Ross’s belongings out on the footpath … that time when Bernie went to pick Ross up from Noosa hospital when he had been so sick … and how callous Carolyn was when she threw Ellen’s framed photo out of the car, smashing the glass frame on the footpath, leaving Ross to clamour on the ground trying retrieve this cherished memento of Ellen. I can’t help wondering how sad it is that Ross got mixed up with such evil people – people who now hold his future in their hands? just to let you know there were two orders taken out by the guardian, the first one was for 12 months, then they went back and were granted a 5 year order, after the first 12 months then QCAT ordered a five year order but in the mean time he was filed away as not needing care as I think he had 8 different guardians in that time, hope this shows why they had two QCAT they had to reapply for the 5 years. Finally on 1 Nov 2014 Carolyn Lawson sent the following message to Bernie Neville. by the way I was down as the person of contact for Ross and he put me down, not you. and his family have spoken to the guardian the ones they called in when laver took him down and made there thoughts known. also the PT has been going in and out of Ross’s house under his request, so talk to them about the so called money that was taken because as you said it was Ross’s money and then if it was then it belongs to the PT as dose everything in that house so all the stuff of Rosslyn’s is now there’s as she told them on quite a few times she does not live there, I helped you all this time and thought you were a nice guy how wrong was I you are only looking after you. Seven (7) months and Ross is still locked up! Still asking when can he go home! What do you say, Brian Lawson? Is this the kind of democracy u fought for in ‘nam? Currently Ross’s house at Sunnybank is clean and livable thanks mainly to his carer … however maintenance will be an issue in the future. Ross has written a letter to whom it may concern that he wishes to return to his family home at Sunnybank in Brisbane where his friends are. Carolyn, I understand your concerns with the Sunnybank home. so what has it done to ensure Ross lived in an acceptable abode ? Yes, it’s true in the past we are probably all guilty of not doing enough. So please, no holier than thou attitude. So, I reiterate, let’s ask Ross what he wants to do. Ross’s dentist at Sunnybank, Kay Chia, met with the speaker of the parliament on Monday, 27 October 2014, to express her concerns with how the Public Guardian has dealt with Ross. BushTelegraph awaits response from Fiona Simpson, the Speaker of the Parliament. Ian Curr met briefly with the Premier, Campbell Newman, expressing concern about Ross’s abduction. The Premier said that he knew about the matter and asked that Ian Curr provide a written submission which he has. 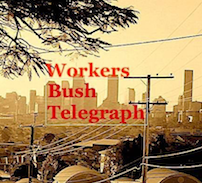 BushTelegraph awaits response from the office of the Premier. Was a person or persons unknown worried that Ross was free within the community….and had unrestricted communication with his friends? Josephine, Ross has been the victim of abduction, kidnapping or whatever you want to call it for the past 10 years when Laver accused us of holding Ross without his consent when he had been in Noosa Hospital with heart trouble and we bought him back to our home at the time to recuperate. We were accused by the wonderful Mr Laver, whom all of you regarded as a Saint at the time, of abducting Ross and denying him access to medical care. Never happened!!! Laver went on to threaten to sue us and take everything we owned because Ross had decided he did not want to talk to Laver on his own mobile. Amazingly, it took just minutes for Saint Laver to get access to our phone number which was unlisted. How did this happen? 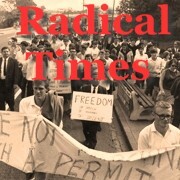 It turned out that the head of emergency at Noosa Hospital was one of Saint Lavers cronies from their Uni and radical days and passed on our number to him. The doctor in question sadly succumbed to cancer not long after. While Ross is a nice bloke it seems that he is someone who has been kidnapped, abducted, detained without his consent, held for ransom in a prison like facility where he is subjected to having his own suite, has healthy meals, has daily activities for entertainment and horror of horrors was subjected today to a bus outing to Maroochydore and the beach then when he returned to the “Prison” he was subjected to watching the film “Babe” about a pig. Sabdias would cringe at the idea of having a pig in their home, even if it was just a movie. I suggest that instead of a goat being left in Ross’s old home that the place become a home for a dozen pigs for a couple of weeks to welcome them into the home they stole. Is that racist??? I hope so. I am sorry that I have gone back on my previous entry where I said it would be my last entry but things happen that change ones ideas and decisions. Bernie and I visited Ross at the RSL Care facility yesterday from 11am till 1.30pm. Ross is well and in good spirits but said that he wishes to return home to Sunnybank. During the visit Ross spoke over my mobile to a number of friends both here and overseas. Ross recognised their voices and spoke warmly with the callers who expressed concern about his being removed from his home. During our visit Ross chatted with us about old times and ate a hearty meal. He showed no signs of dementia. Upon leaving Ross asked repeatedly when Bernie could visit him again. I intend to lodge an urgent application in Queensland Civil Administration Tribunal QCAT tomorrow that the Public Guardian’s appointment be revoked (see order below). I will ask that Ross be present at the hearing so that he can express what he wants and what he needs – something that the Public Guardian has ignored throughout this whole sorry business. I ask that Ross’s friends support this application to return Ross home to Sunnybank. At a meeting today (Wednesday 22 Oct 2014 at 1.30pm) with officers of the Public Guardian, Tim Brown (manager OPG Sth Brisbane), Therese Craig (authorised officer OPG Sth Brisbane) refused to give reasons for why they have ordered that Ross be taken from his family home and why they have failed to tell his closest friends what they were doing and why they were doing it. Tim Brown and Therese Craig point blank refused to explain their actions to me. They could give no reason for why they did not contact people listed as Ross’s friends when they ordered an Aged Care Assessment Team (ACAT) assessment of Ross in March 2014 and yet made no mention of an ACAT performed in September 2014 when Ross’s main support person was in the UK. These officers, Lisa Pool (OPG) and Kevin Martin (Public Guardian) have failed to reply to my phone calls and to issues raised in my correspondence with them and claim that I am not listed as a person for them to contact. This refusal was despite the fact that today (22 October 2014) marks one (1) week since Ross was taken from his family home under false pretences i.e. telling Ross that he was going for a day trip when they were locking him up in high care RSL facility over 100 kilometers from his friends. Tim Brown and Therese Craig from the office of public guardian claimed that they were not aware that I was a support person for Ross. They said that they were acting on behalf of the Public Guardian. They refused to comment on my claim that the Public Guardian is no longer Ross’s legal guardian because an order by Jim Allen and J Casey in 2009 has expired. They claimed that they are able to make a range of decisions on behalf of adults with impaired decision-making capacity including placing him in a high care facility.They claimed that they were not aware that I had represented Ross in QCAT in 2011 and in the Supreme Court of Queensland in the same year and a petition collected by friends of Ross was submitted and read in the parliament by the previous Premier, Anna Bligh, in 2011. The manager, Tim Brown, refused to tell me when they would reply to my concerns. Therese Craig said that they would reply by Friday, 1 November 2014. The actions of the Office or Public Guardian are a denial of Ross’s human rights and a refusal byedhem to be accountable under the law. The Public Guardian, Kevin Martin, is the delegate responsible and his appointment should be revoked by Queensland Civil Administration Tribunal (QCAT) because their abduction of Ross against his will. Brian Lawson, have you thought of asking Ross what he would want? Might be a good idea instead of making assumptions that are clearly patronising. Ross has been placed in helpless isolation where his meals, his washing, his cleaning, everything is done for him. Previously Ross did his own washing and made his own meals (with assistance); he visited his own friends. Recently Ross travelled across town by himself to visit a sick mate in hospital. They have taken away his autonomy, his life and made him dependent. The Public Guardian authorised two ACAT assessments of Ross, one in March and another in September 2014. They did not tell any of Ross’s closest friends. They sent Centacare worker Jenny to his house at 7 am to give him medication and waited for his carer to leave before taking him to the sunshine coast without consulting of any of his friends or carer. Mitch, It seems like you are not aware of our relationship with Ross. I would like to ask you and your colleagues a few questions about Ross. Were you there 38 years ago when Ellen and Ross moved into Mains Road and did you make them welcome by inviting them to our family Xmas party? Were they regarded as part of our family to such an extent that our kids, now 40 and 41 years old still call them Aunty Ellen and Uncle Ross? Were you there when Ellen was diagnosed with Leukemia and did you support her and Ross through the Chemo process? Did you ask them to spend weeks at a time with us at your home to have relief from the stress of the whole thing? Did they buy the block of land in Agnes Water next to yours so they could build their final home and be with you? Were you there with Ross when Ellen was admitted to PA Hospital for heart surgery while she was in remission and it looked like she would not survive? Were you there when Ellen finally lost her fight with Leukemia and were you there to comfort Ross? Did you have Ross spend time with you for months after Ellen’s funeral? Were you there when Laver started to con Ross into selling up everything he owned to buy a building in West End to be used as a Community Centre and telling Ross that Ellen would have been proud of him? We were when it became apparent that the Community Centre was in fact going to be “Anarchy House”. We advised Ross to be careful but we all now know that Laver ripped Ross off for everything he owned and put Ross on a weekly allowance of $100. Did you advise the Public Trustee of what was happening and ask that investigations take place? Were you aware that Laver and his accomplices set up a $1,300,000 loan without income to cover the payments? Were you aware that Laver tenanted the building with “Ethical” services who did not pay any rent? We were and started the push to bring him and his accomplices to Justice. Were you there when Ross’s Accountants and Solicitors got Ross to sign over the only thing he owned, Mains Road, to their Family “Trust” telling him that they were doing it to protect him? Were you aware that “Friends of Ahimsa” were harrassing Ross’s 90 year old brother and his sister in law to sign paperwork to place caveats on Mains Road and promising Ross that they would retrieve his home. I believe that Ross would be better off living somewhere that does not subject him to this daily crap. The place where Ross is currently living has his own comfortable room with ensuite, healthy meals, activities every day to stimulate and encourage his mind and have fun, staff who are dedicated to their position and who give Ross what Ross loves, cuddles whenever they come on duty. Ross has become the instrument of people who are out to see Laver and the Sabdias charged and punished, and I would love to see it happen, but at the same time he is living his final days under stress. Ross has said that he has been sleeping better than he has in years and that he feels safe. I take issue to someone who doesn’t know Ross saying that I am making patronizing comments. Let’s sit back and look at Ross’s situation and the comments by those of you who have visited him after his “abduction”. Incredibly they found that Ross was enjoying the facility “lockup” where he is being subjected to accommodation of his own suite with ensuite and recliner chair, healthy meals, being involved in activities that he absolutely loves, being cuddled by staff, which if you know Ross, is something he loves. I implore you all to allow Ross to settle into this wonderful facility, not prison, for a month then see if he actually recognizes some of you. Ross has become something of a stud to some of the women and a companion to men who love his recollections of his life but not about what he did yesterday. It’s time for all of you, whether you have an agenda with Authority or other to step back and think of Ross. End of story. You will not be subjected to our comments from here on. Ross is a wonderful, loving bloke who misses Ellen but will be influenced by anyone who gives him false hope that he will eventually recoup not only his home but all of the money that Laver and his cronies ripped him off. It has been said that after a month of settling into his new home he will be allowed to have access to Sunshine Coast activities. Please think of Ross who is in his 80’s and allow him to live out the rest of his days in peace. I am sure that this comment will be censored and be deleted as my previous comments were. Ross is an old bloke who has been through lots of activities and influences in his life and deserves peace. Ross and to support his decision. concert with it to determine an outcome for Ross. on this post. They are all there (and Carolyn’s) for anyone to see and read. 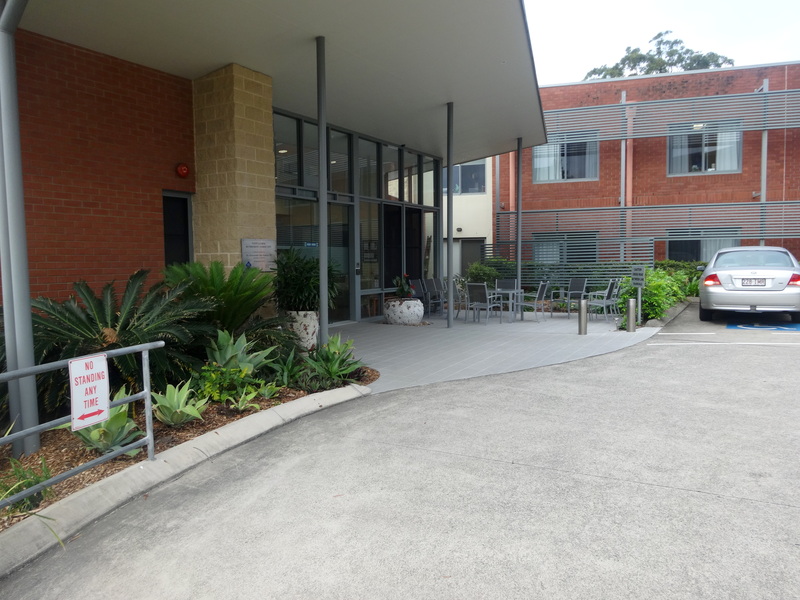 Ross is locked up in a 120 bed facility with people suffering dementia … there are electronic devices on all the doors and a 3 metre high iron fence around the perimeter of the building where he is being detained. Ross has no access to a phone to make or to receive calls from friends. All the patients in the building are ‘high care’. 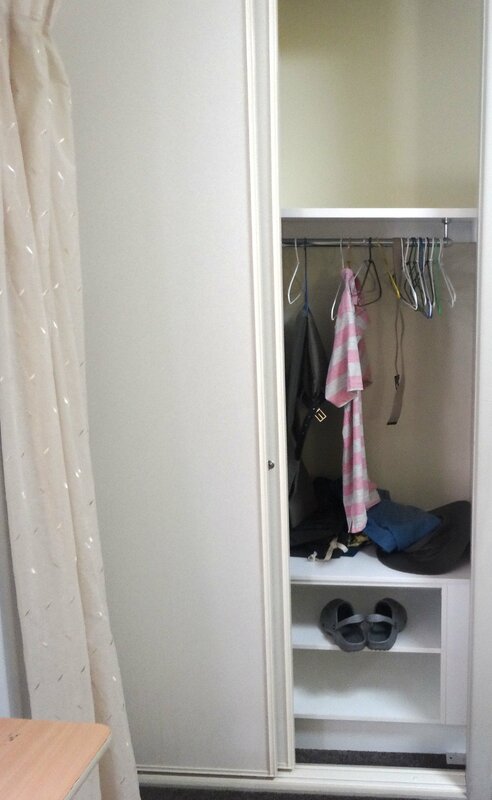 Ross has a sparse room (like in a hospital) with only three shirts in his cupboard and two of the shirts do not belong to him, and are a size too big. Ross was abducted from his family home a week ago by someone from centre care (he thought her name was Natasha) who came to his house and asked him if he wanted to go for a drive up the north coast for the day. He says that he thinks it was a man who drove him up to Alexandra Headlands and that ‘I must have blanked out or fallen over because I do not know how I got here’. There are no marks on Ross’s face or arms and he says that he feels well but he does not know how he got to the RSL Care over 100 kilometres from his family home at Sunnybank. He says that he must have blanked out. He says that a person ‘wearing a white coat’ admitted him ‘to the hospital’. Ross believes that his dogs are being looked after Carolyn and Brian Lawson. Ross openly expresses a desire to return home to Sunnybank. He says that he wants to visit his friends, to go down to the shopping centre and return to his normal life. Ross sends his best wishes to all his friends in Brisbane – to Bernie, Rosslyn, Peter, Sam, Cathy, Mitch, Maggie, Bobby and others. He hopes to see you all again soon. 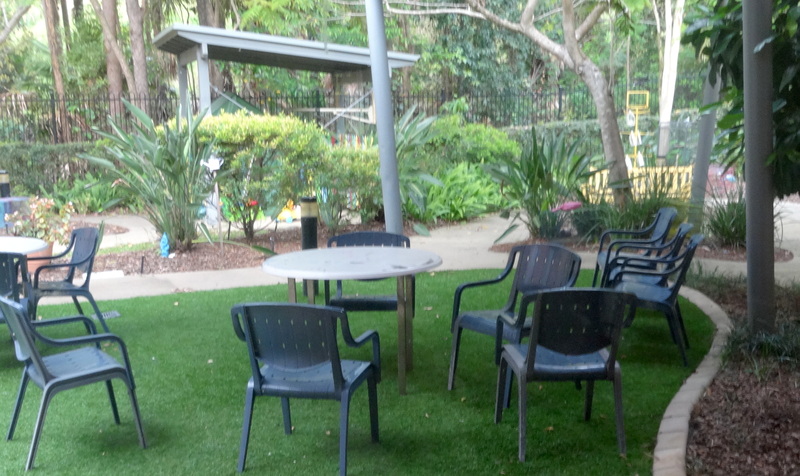 Five days after his abduction, the Office of Public Guardian (OPG) advises, that Ross is being held at RSL Care, Tantula Rise Retirement Community, 96 Tantula Road, Alexandra headland, QLD, 4572. This is over 100 kms from Ross’s home, familiar surroundings and friends. OPG advises that Ross is allowed visitors but he is not permitted to leave the facility. OPG states that there will be a further assessment of Ross’s circumstances in one months time. The phone number at Tantula Rise is 5430 1400. The full text of OPG’s email may not be published at it may be an offence under Guardianship and Administration Act 2000. Why is everything with your group a conspiracy? Ross has said that he has had the best sleep he has had in years because he feels safe. He is being treated to a room with ensuite, being entertained by 3 to 4 activities each day, loving the meals he is being given and staff give him a cuddle. His room looks out onto rainforest and gardens. Anyone who knows Ross, as we have done for 37 years, will know he loves this attention. He is not being held prisoner but being allowed to find his place in an environment where he is not the subject of other peoples own agenda. Phoebe and Harry are not about to be sent to the pound or to the vet to be “destroyed” they are being cared for by Ross’s long term friends. Before the last state election, Jarrod Bleijie campaigned to reform the Adult Guardianship system. He told carers’ groups that he understood their frustrations and anger and promised to make the system more transparent and accountable. Since becoming Attorney General, all he has done is change the name of the Adult Guardian to Public Guardian. Qld’s guardianship is a fascist regime. International human rights are disregarded and there are no enforcible rights of disabled people in the legislation. The only agency to hear complaints about the Adult…. um I mean…. Public Guardian is the Public Guardian itself which is also the investigative wing of QCAT should anyone dare to appeal their decisions. There are no rules of evidence at QCAT, including decisions to derive someone of their liberty, and the opinions of Public Guardian or Public Trustee officers is accepted as fact. Even rapists, murderers and armed robbers have the case against them tested by cross examination in accord with rules of evidence before a court can order them to be deprived of their liberty.. However Qld disabled people can be arrested, disposessed of their assets and denied their right to freedom of movement and association – all at the whim of some ignorant unaccountable bureaucrat. I support this petition. I have met Ross and he is an intelligent, upstanding member of society. The Public Trustee of QLD has much to answer for regarding the loss of his money and real estate, and must be held accountable along with the Public Guardian. Imagine if this happened to a friend or even worse, a family member. I am also worried about my friend Ross and worry about the mental stress they have caused him. Ross is no longer able to communicate with those closest to him, no more friendly phone calls or weekend meals with his mates. Ross is through no fault of his own a client of the Public Trustee Qld, Mark Crofton. Mr Crofton needs to explain what he knows about the abduction of Ross, an act that amounts to the abuse of his fiduciary in relation to his client. Bernie, We have spoken to the Adult Guardian and voiced our concern about the dogs being abandoned and asked them to send them to us to care for them. They were transported to us and we will care for them. Ross has been used and abused by so many people over the years since Ellen died by people, even though they supposedly are only trying to get justice for Ross. Carolyn and I have been friends of Ross and Ellen for nearly 38 years and they have been regarded as members of our family with our kids now aged 41 and 40 years of age still calling him “Uncle Ross”. It is time for everyone to sit back and realize that he is 81 years old and should be allowed to live out the rest of his life in some semblance of peace. We hope that the Guardian will find a place where this peace will happen and I’m sure this will happen and I’m sure it won’t be in a place where he is drugged to the eyeballs like Brian Laver had hoped. Let the next few days evolve and we will obviously find out Ross’ status. Bernie, You have been a stalwart in Ross’ fight for justice and we thank you for that. It’s time to let the Adult Guardian find that home of peace for Ross. Please note that impaired capacity does not mean Ross can’t make decisions or give approval to an action. Ross can make up his own mind if he wants to live at home or not. I was listed on the legal document as in attendance and a friend of Ross, when Ross had his mental capabilities assessed in a court meeting. Denying access to Ross is contrary to natural justice and unforgivable in a democratic society ruled by law. It is also an act of cruelty to deny an aged person contact with his friends.